OUR CURTAIN WALL SYSTEMS HAVE ULTRA-SLIM PROFILES TO PROVIDE AN AESTHETICALLY PLEASING PRODUCT AND MAXIMISATION OF THE GLAZED AREA, ENABLING AS MUCH NATURAL LIGHT TO ENTER AS POSSIBLE. 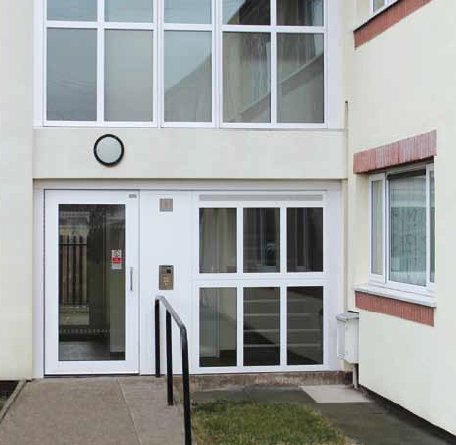 To ensure energy efficiency they are also available with a thermal break, which ensures that SSG installations meet with current building regulations. As with our door and screen systems total integration with our other product lines is possible, allowing us to find the perfect solution for your needs. Thermally broken glazing is a term used to describe the placing of an insulating barrier in-between the inside and the outside portion of a window frame and in-between the two glass panels of a double glazed window. Heat will naturally try to escape from a warmer place into a cooler one. In the case of windows, this means that summer heat wants to escape from outside into the cooler space within the property, and the winter heat inside a building wants to escape to the cooler air outside. Thermal breaking provides a resistance to heat flow, which leads to improved energy efficiency and therefore is far more cost effective. 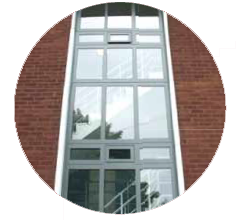 Our thermal break windows can be incorporated into all screen and curtain walling systems in a variety of configurations that include top, side and bottom hung variations.